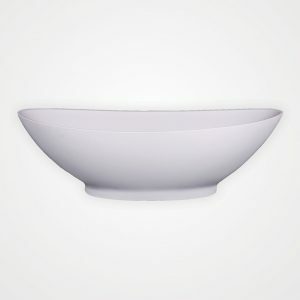 WaterTech solid surface free standing bathtubs are molded into one of the most eye and body pleasing shapes for your ultimate bathing experience. Offered in many color options and available as a soaker or air bathtub. 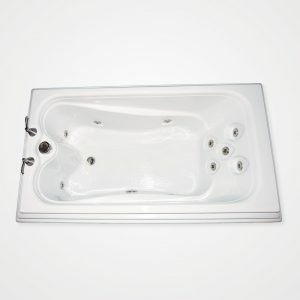 WaterTech Whirlpools exclusive free standing whirlpool bath! 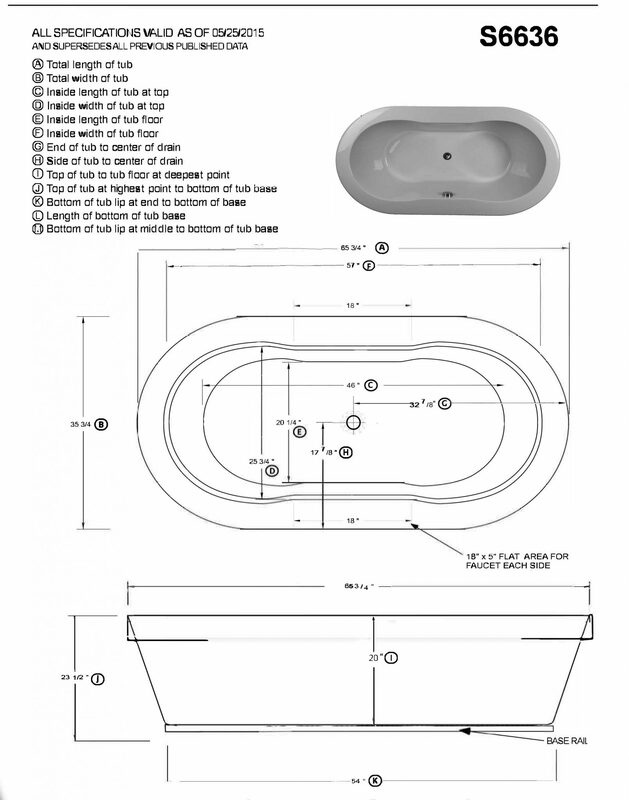 For the first time and acrylic whirlpool tub can be installed as a free standing bath. The tub and integral cabinet eliminates the of time, materials, space and labor needed to build a cabinet to put a whirlpool bath into. Removable access panels are sculpted into each end of the acrylic cabinet to provide full access to all plumbing and electrical components. Note: Prices do not include freight. Please call for pricing. WaterTech Whirlpools exclusive free standing Elite Combo Bath! 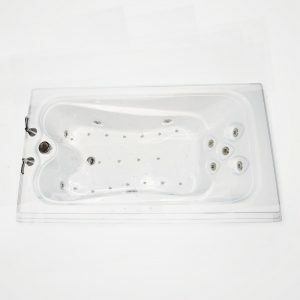 For the first time and acrylic combination tub can be installed as a free standing bath. The tub and integral cabinet eliminates the of time, materials, space and labor needed to build a cabinet to put a whirlpool bath into. Removable access panels are sculpted into each end of the acrylic cabinet to provide full access to all plumbing and electrical components. Note: Prices do not include freight. Please call for pricing. No other tub compares to it! 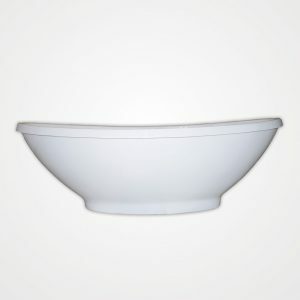 Watertech’s new freestanding bathtub is the highest quality solid surface bathtub made in America today. 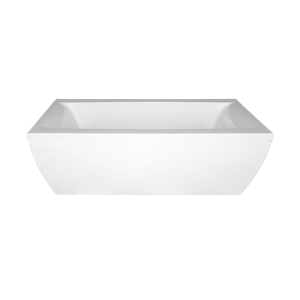 Constructed from 100% solid surface “Corian” type material, using no fillers or gel coats, this bathtub weighs in at an impressive 280 pounds of true solid surface material molded into one of the most eye and body pleasing shapes you’ll ever find. Note: Prices do not include freight. Please call for pricing. 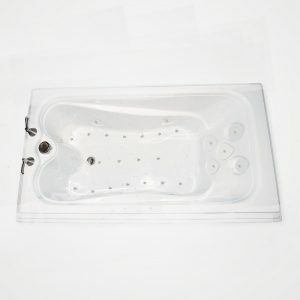 Free Standing Acrylic Soaking Tub and integral cabinet. This tub's gently flowing lines and cabinet's pedestal base will make this bathtub a focal point of any bathroom. 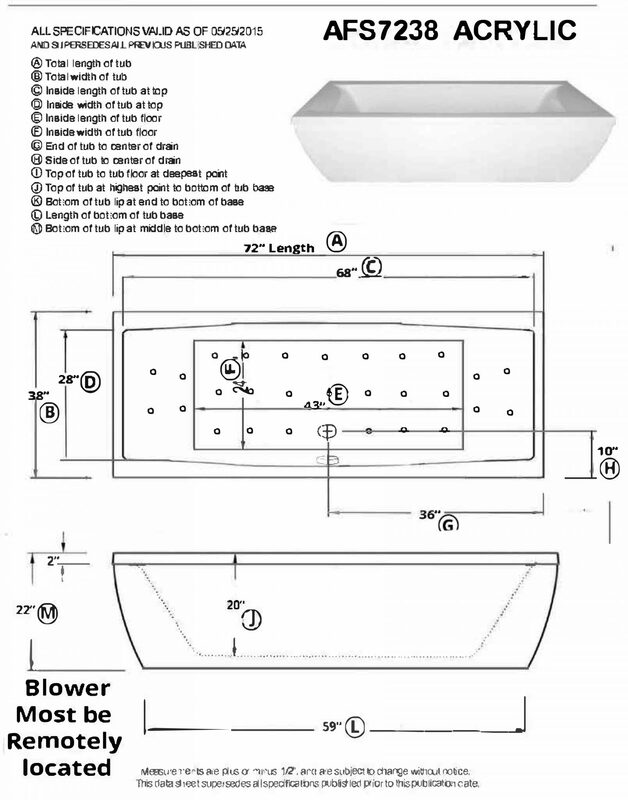 Tub has center drain and no overflow, which allows a deep soaking depth for bather. Easy to install and eliminates the expense and time to construct a cabinet. Also available as a drop in bath. 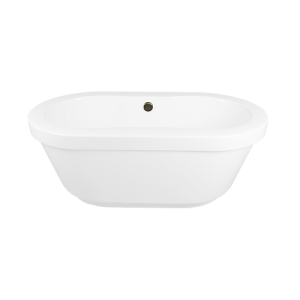 Both ends of the tub slope to the center, which allows the bathing well to provide maximum comfort and support. Note: Prices do not include freight. Please call for pricing.